If you look through my outfit posts from the last few weeks, you'll notice a theme. CHUNKY NECKLACES. They're my new obsession, and you'll continue to see me wearing them all summer long and once I start college in the fall. They make it SO easy to dress up a simple outfit! This week I'm excited to share with you a feature sponsored by A'Muse Me Boutique. 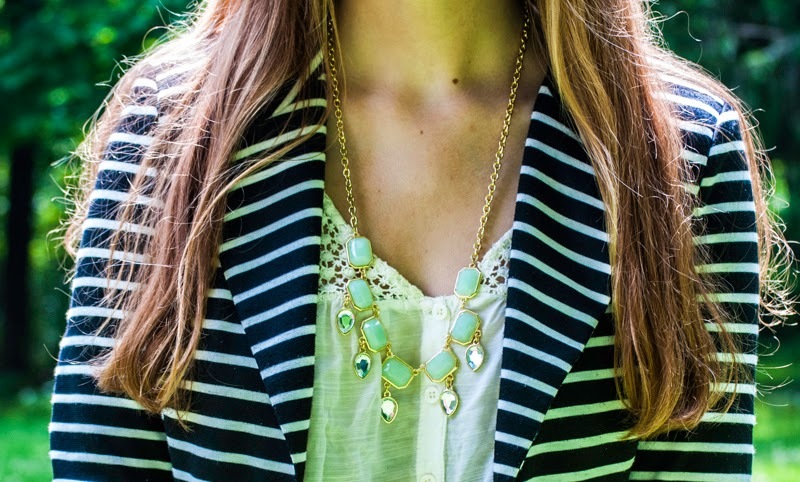 I'll show you how to style three different necklaces in three fresh ways. Stay tuned for the full outfit posts that go with each of these snapchats, coming later this week! Happy weekend! Ah yes, statement necklaces are my go to! I absolutely love how they look with a simple outfit. Aaaw cute cute, Miss Rory! Those are such pretty, colorful necklaces to recieve. I especially like the preppy one. Hope you're having a great start to your Saturday! 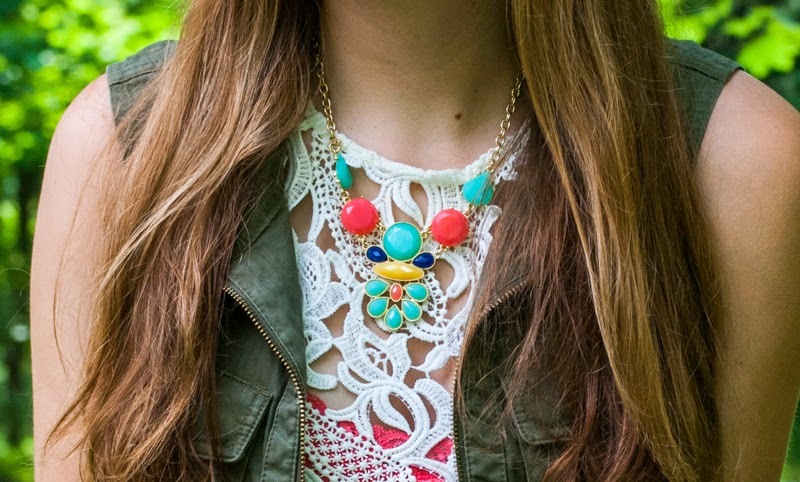 Nothing beats a good statement necklace! I love all of these! Pretty necklaces! 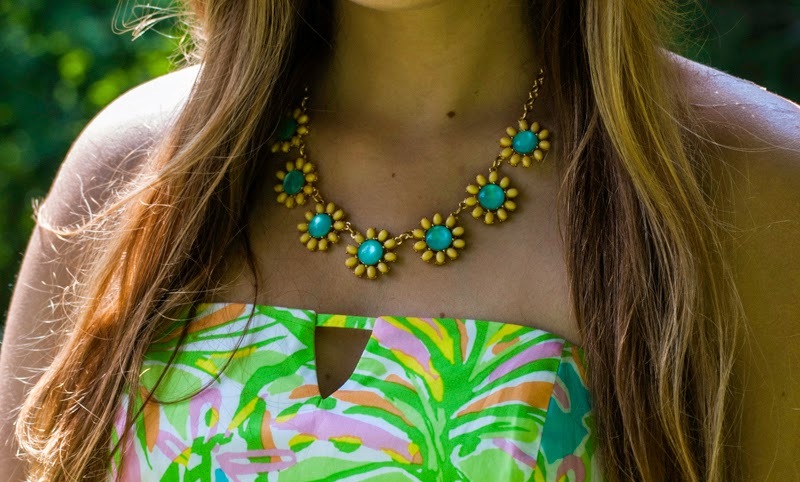 Love wearing bright statement pieces such as these! Gorgeous necklace. Love the green and blue. So summery.